When it comes to bike repair books, there are a few that rise above the rest. The five best books are listed below. This book from Bicycling Magazine is the best all-around bike repair manual you can find. It covers road and mountain bike repairs, including recent updates for high-tech parts, plus all the basics that any bike mechanic should know. Still, it costs just $25. 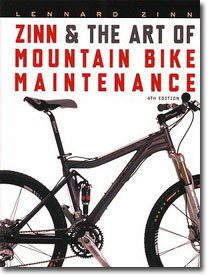 Lennard Zin is a well-regarded bicycle mechanic, and if you are a mountain biker, this book has everything you need to know about keeping your steed in top condition. Lennard Zin is a well-regarded bicycle mechanic, and if you are a roadie, this book has everything you need to know about keeping your steed in top condition. The Bicycle Wheel is the industry standard when it comes to wheel building books. This book will teach you the basics of wheel building with clear instructions and diagrams. Barnett's Manual is the premier bike repair book. It's big, comes with grease-resistant pages, and covers everything you need to know about repair. However, it can be hard to find and expensive. Now just pick the one that's right for you and be on your way to bike repair bliss!